Ms. Keri, baby, Hilson made a stop at a YMCA in Atlanta earlier this week to chat with teen girls about the importance of staying fit. The “Pretty Girls Rock” singer encouraged them to join a sports team because being dirty and sweaty isn’t just for boys. All the more reason the R&B diva was the keynote speaker at the Pretty Girls Sweat movement; the brainchild of Teen Diaries Foundation that aims to guide young girls nationwide to maintain healthy lifestyles. After riling up the group of 200 girls, Keri and teen pop group the OMG Girlz, put the young’uns to work sweating out their relaxers by playing basketball, double dutch and kicking those heels up with jumping jacks. Not only did the teens walk away with exercise endorphins, but also some fitness swag. All well deserved. 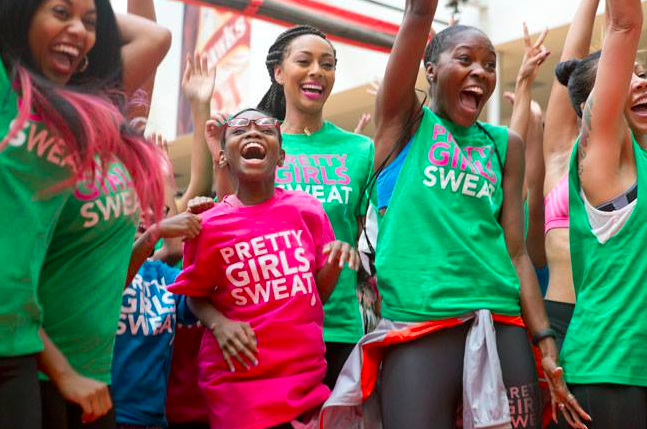 The event marks the 3rd anniversary of the Pretty Girls Sweat program developed to combat the country’s childhood obesity epidemic. To join the movement or donate click HERE.